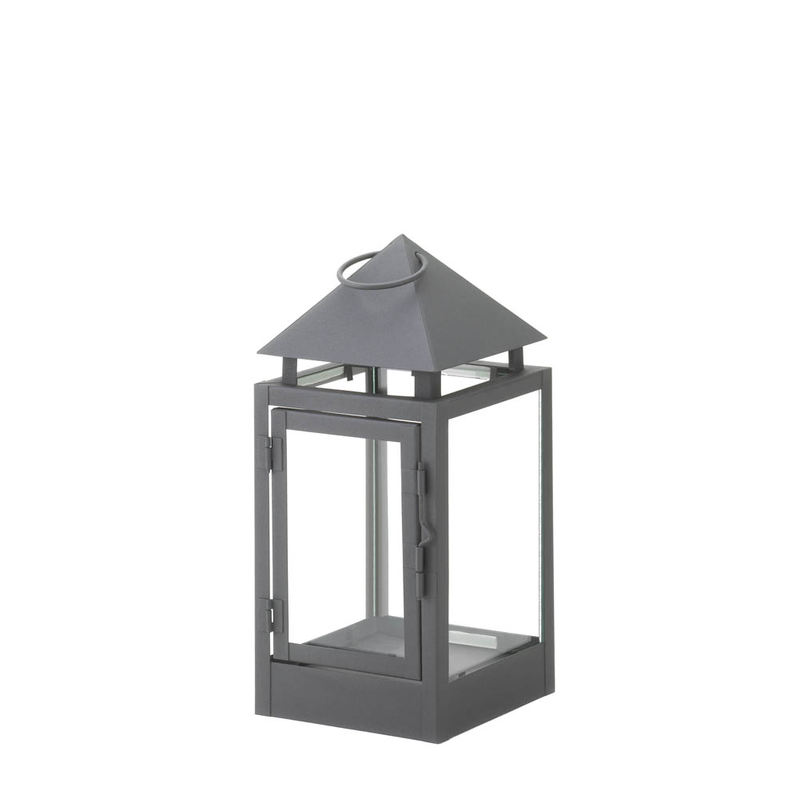 This candle lantern is the perfect blend of classic design and contemporary style. Four clear glass panels sit inside an iron framework finished in matte gray, for a thoroughly modern lighting accent that will stand the test of time. The pyramid roof adds drama and visual appeal! 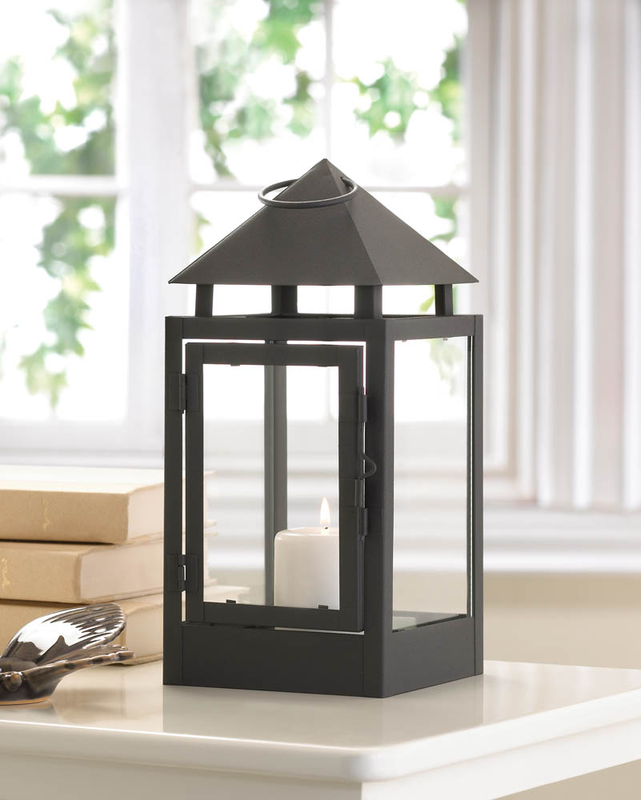 Hang this handsome candle lantern from its top loop or set it on your tabletop to add shimmering candlelight to your space. It features a hinged door and awaits the candle of your choice. Item weight: 1.8 lbs. 4 7/8" x 4 7/8" x 10 3/4" high; 12" high with handle. Iron and glass. Candle not included. UPC: 849179017576.